"Paiste Twenty series are the best combination of light and shade, from dark lows, to shimmering highs. The only cymbals I will use in the studio." 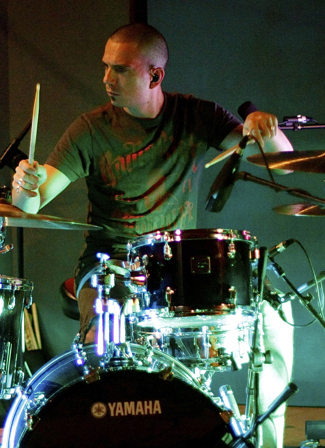 Ben has played drums for over 20 years and has worked with such artists as Chuck Girard (Nashville USA), Adam Lester (Peter Frampton USA), Darlene Zschech (Australia) David Evans (USA), Kristle Minton (UK), Guy Mutton (Australian Idol) and has toured the UK, USA, as well as various parts of Asia and Africa. As a session drummer, Ben has played on recordings for film and television, as well as recording for bands such as Holland, Avalon Drive, Sarajevo Rose, Nine Sons of Dan, Misdirection, Awaken I Am, Fairchild, Starlight Theatre, METROBand, as well as his own band Fighting Kind.